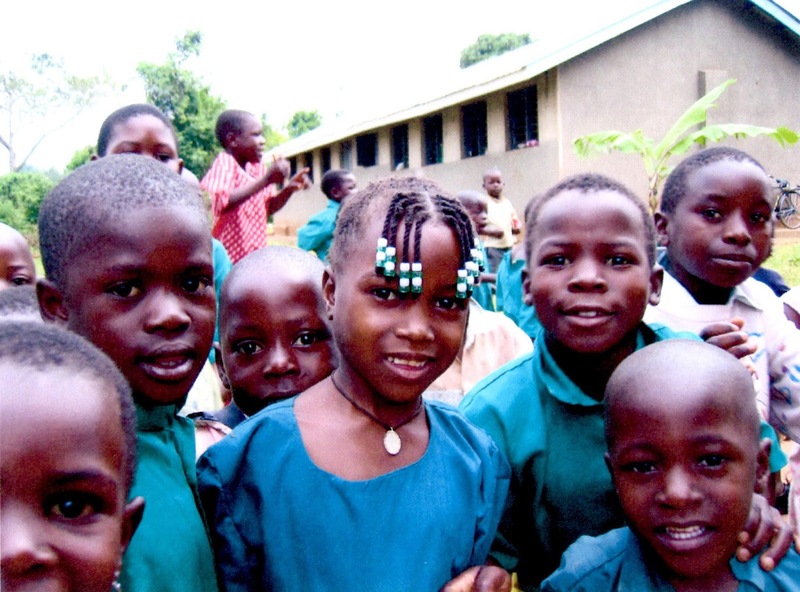 Busenya Primary School is linked with St Thomas of Canterbury RC Primary School in Guildford. 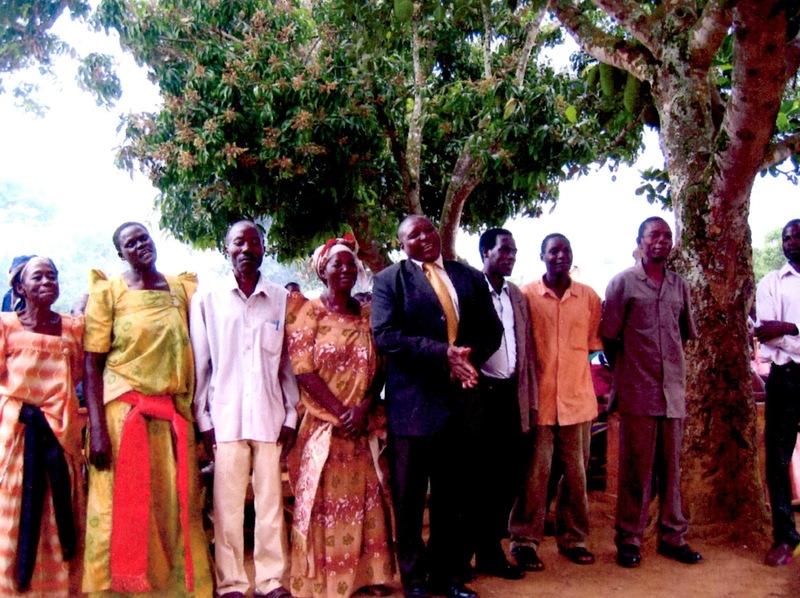 Two of the teachers at St Thomas became aware of the existence of the Guildford Mukono Link, which was an organisation committed to the development of partnerships with the Mukono region of Uganda (set up by Tamsy Baker, Sallie Thornberry and others). 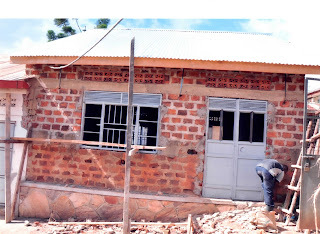 Mukono is 100km east of Kampala. 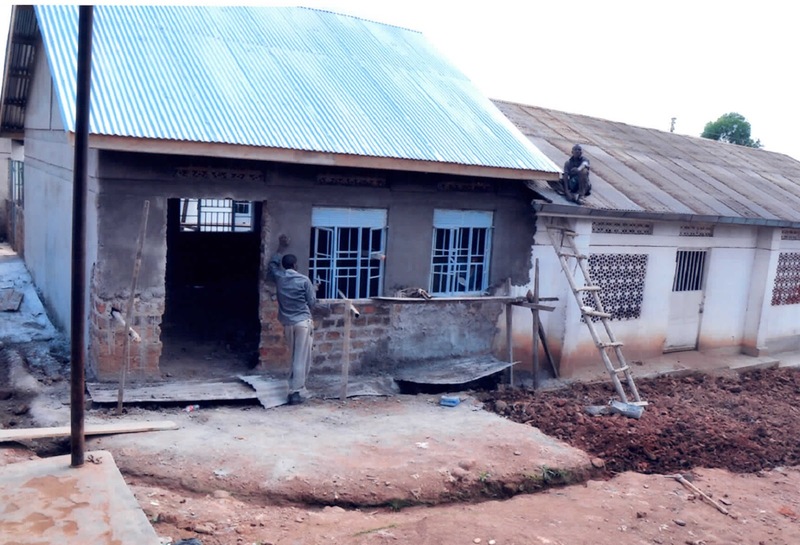 The partnership is designed to be a two-way learning experience so that children in Guildford can learn about the lives and challenges of children in Mukono and Mukono children can learn about the lives of children in the UK. For St. Thomas’ the project has been a tremendous learning experience and the children are developing their knowledge of the culture of a region that is so different from their own. Here are the Chairman of the school and some of the parents. 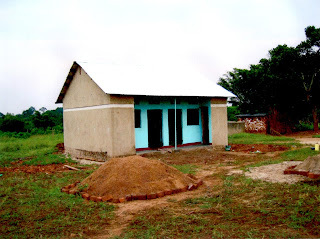 The children at St Thomas' School in the UK are extremely keen that children in Busenya have the same facilities that they do. 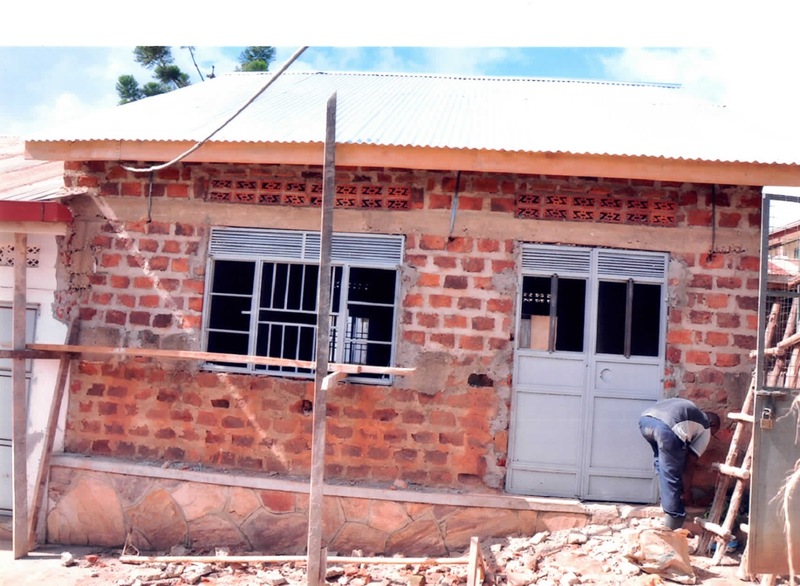 They have helped the School to construct the three classrooms that it needs to house the children who previously had their lessons in dilapidated classrooms or indeed even under a tree. These are some of the girls at the school. There have been a number of reciprocal visits by staff from the two schools and there is a plan in place to cement the links. These are some of the boys at Busenya. St Thomas' School has funded and helped organise the installation of a much needed water bore-hole, a playground for the children and cooking facilities to ensure that every child has a hot meal each day. 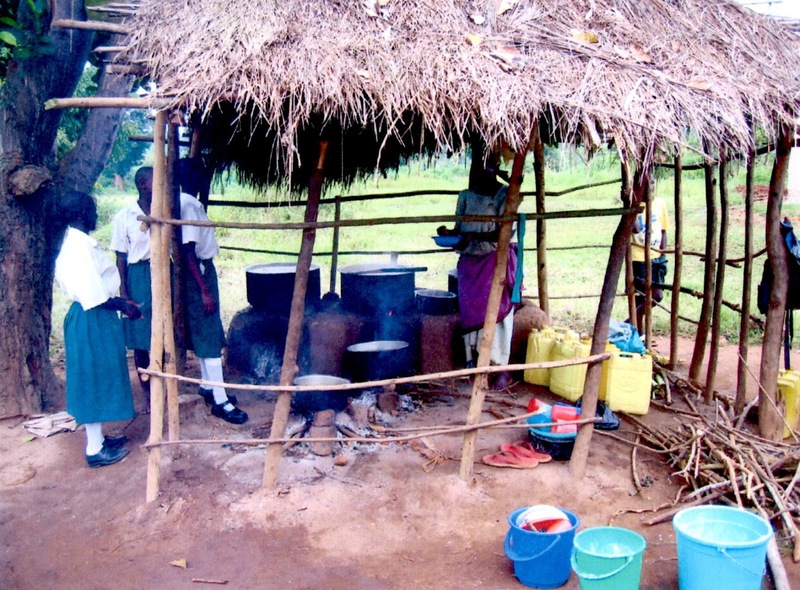 This is the school kitchen. 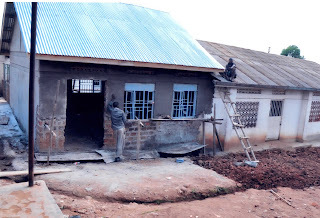 St Thomas' School's current project for 2016-17 is B for Busenya... to raise the money to ensure that every child at Busenya Primary School can take a full part in their learning with the provision of exercise books, paper, pens and pencils – all the consumables that otherwise the children have to fund themselves meaning that many have to drop out of school because they do not have the money. St Thomas' School has a Busenya Team of children aged 10 and 11 working alongside the staff to coordinate and plan all our activities this year. These include Busenya days each term, a sponsored read in the Spring term and lots of fun activities and opportunities to learn and share with our friends in Uganda. We also keep in touch with the children with letters and Christmas Cards! 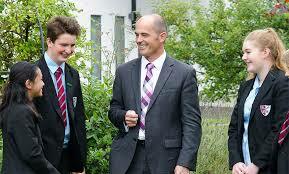 These two teachers' houses were funded by Guildford Labour Party. Two staff members from a school in Mukono, Uganda, visited Guildford to collect sports equipment and books donated for their school library. Meanwhile, two members of staff from St Peter's, Guildford - Amanda Alkema and Anne Chong-Seng - applied to the British Council for the Connecting Classrooms grant. Amanda and Anne travelled to Mukono to spend five days working with staff and students in their specialist areas of economics and maths. 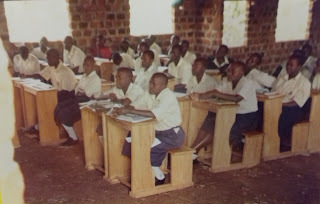 Some classes at Lutengo School had fifty students of mixed ages. 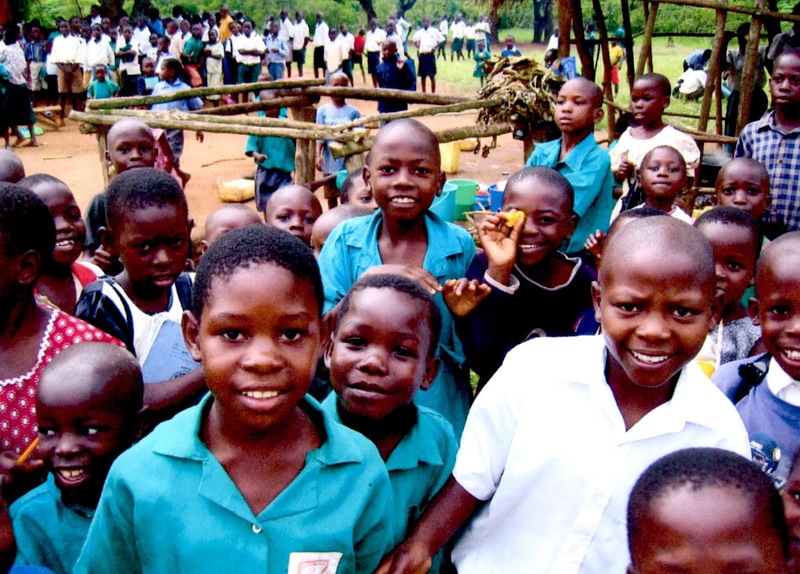 They have virtually no access to textbooks," Amanda said. Students have to pump their water every day for drinking and washing. The Headteacher of Lutengo United Secondary School, Edward Kaweesi, and English teacher Babirye Samalie, visited St Peter's in Guildford and took more than 80kg of books back with them for the school. 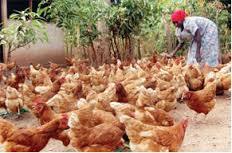 St Peter's has a plan to launch a water harvesting and chicken farm project for Lutengo School. 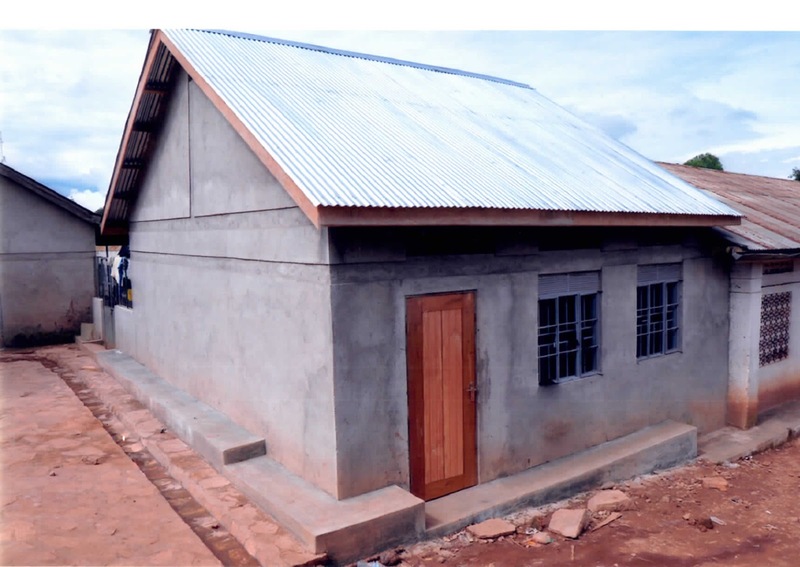 The new dormitory at Mukono High School was completed in 2014 and it is accommodating a good number of girls, who really appreciate it. Most would not be able to get to school at all without this facility, said the Headmaster, Mukwanya Julius.